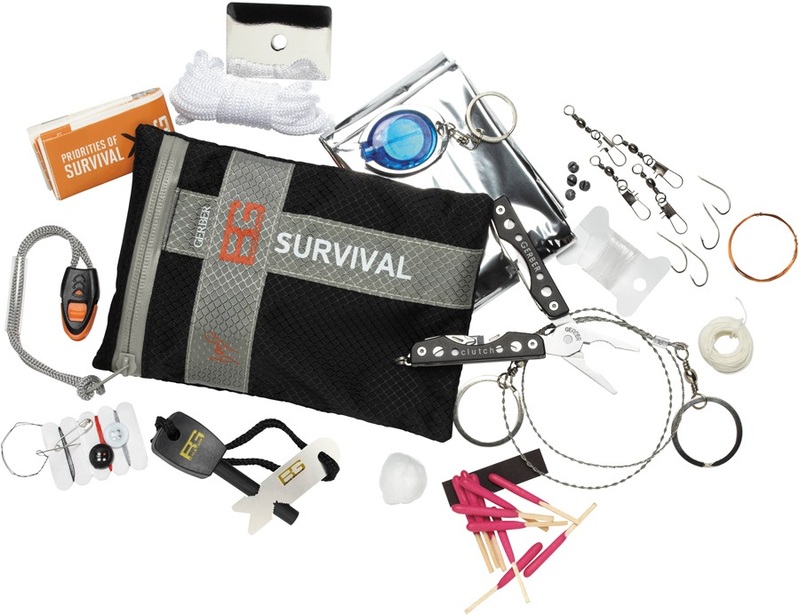 This innovative and versatile kit features 16 essential items to give you a fighting chance in a worst case scenario. Remember Liam Neeson and those wolves? Or when DiCaprio turned bear-chew and crawled across North America for an Oscar? Or how about that time you forgot your keys and had to sit in the garden for like ages till someone let you in..? Survival expert and all round outdoorsman Bear Grylls and Gerber have teamed up to bring you the Ultimate Survival Kit; a great piece of gear to keep in the bottom of your bag to keep yourself prepared. It features Gerber's Clutch Mini Multi-tool with 9 tools inc. pliers, fine blade, tweezers and more. Survival items include a miniature hand saw for firewood, signalling mirror, waterproof matches, survival blanket, fishing kit, emergency cord and more - all in a durable ripstop pouch and Bear's very own Priorities of Survival pocket guide. From wilderness expeditions and guides to backcountry trekking, fishing and wild camping the Ultimate Kit gives you Gerber's renowned quality with Bear's field tested selection. A lightweight, compact and indispensable companion to any adventure and perfect gift for the outdoor enthusiast in your life.